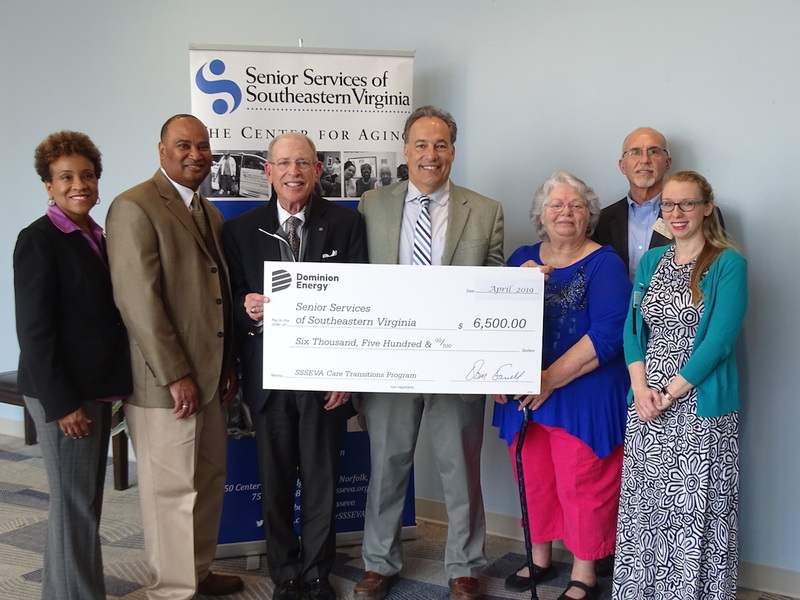 Senior Services of Southeastern Virginia (SSSEVA) was named one of more than 200 nonprofit organizations awarded a critical community needs grant from Dominion Energy Charitable Foundation to help feed, shelter and care for people in need. From left to right: Dominion Energy’s Bonita Billingsley Harris, Troy Lindsey and Max Bartholomew present a $6,500 check to SSSEVA for its Care Transitions program. 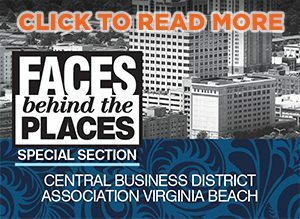 CEO Steve Zollos accepts the award on behalf of the agency. Diana Kupko, a Care Transitions client; Brad Lazernick, director of the Center for Aging; and Katie Hopkin, a Care Transition coach, participate in the award presentation. With the grant, SSSEVA will be able to better serve seniors this year through its Care Transitions program, which educates and empowers seniors to manage their health conditions after hospital discharge.